Foxtel Go adds Nickelodeon, MTV, ESPN. Foxtel has added five new channels to Foxtel Go app from today: Nickelodeon, Nick Jr and MTV both live and on-demand as well as ESPN and ESPN2 live. On 1 January, Foxtel Go will add Syfy, TVH!TS and the Universal Channel live and on demand, bringing the total number of live channels to 68 and 56 channels on demand. 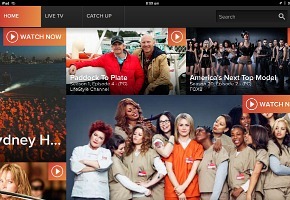 Foxtel Go is available to subscribing customers across a host of devices including compatible Apple iPhone, iPod touch, iPad and iPad mini, select Samsung Android tablets and smartphones, as well as PC and Mac computers, with up to three registered devices at the same time. Programming highlights new to Foxtel Go in December and January include: Nickelodeon – Sanjay and Craig, Sam and Cat, Rabbids: Invasion and The Haunted Hathaways; Nick Jr – Play Along With Sam, Zack and Quack and Paw Patrol; MTV – Mortal Geordie NYE (Dec), Are you the One? (Jan), Awkward Season 3b (Jan), Teen Mom 3 (Jan) and Girl Code Season 1 (Jan); ESPN – NBA, NFL and UEFA CL; ESPN2 – College Basketball and Baseball, X Games and MLB; Universal Channel – The Michael J. Fox Show, Perception and Rookie Blue; TVH!TS – NCIS, CSI: Crime Scene Investigation, Everybody Loves Raymond, Friends and How I Met Your Mother; Syfy – Stargate SG-1, Haven, Misfits, Warehouse 13 and the world premiere of Haunting: Australia.